Learn something new and get your taste buds going at the Vegan Cooking Workshop this Saturday in el Medano, the theme is 'food to take away' and you will learn to make and try delicious recipes such as savoury strudel. 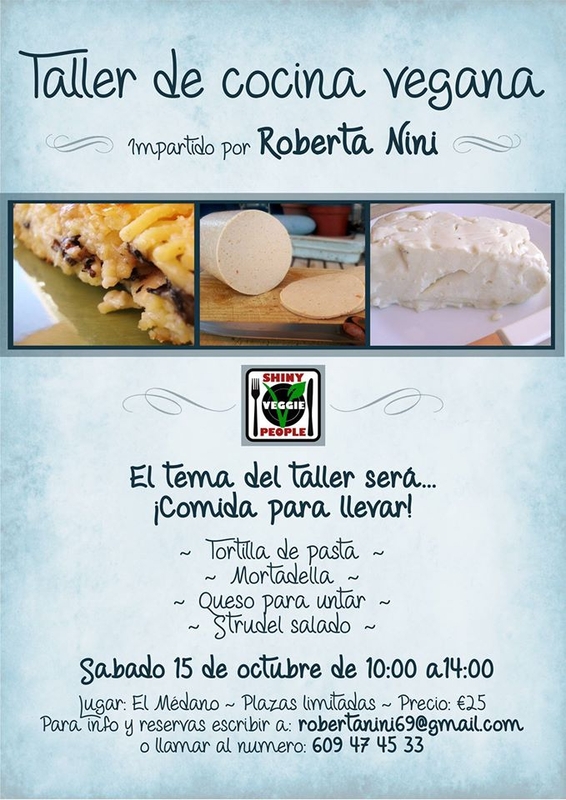 The workshop is between 10am and 2pm and costs 25 Euros including tasting the recipes you make including vegan creamy cheese and tortilla de pasta. For more info or to sign up get in touch using the contact details on the poster.